Finally Ireland and Zimbabwe promoted to the next level in ongoing ICC World Cup 2018 qualifier round. They are now playing into the Super Six round. Total six teams have qualified for the next round from the group stage where Ireland has come from group A and Zimbabwe has come from group B. In the group stage, Ireland finished the season standing on the 2nd position where Zimbabwe finished it by standing on the top position on group B. So, according to the schedule, both teams have faced each other in Super Six round which was the 3rd match in the knockout round. In the match, Ireland faced batting collapsed against Zimbabwe and so, Zimbabwe got an easy victory. Zimbabwe is a cricket team in ODI which used to take place among best ten place ICC ODI ranking but ICC just considered as the first eight into the next ICC World Cup 2019 as the first place. Though, total ten teams will compete there but for rest two places, now total ten teams have competed which is called ICC World Cup Qualifier 2018. 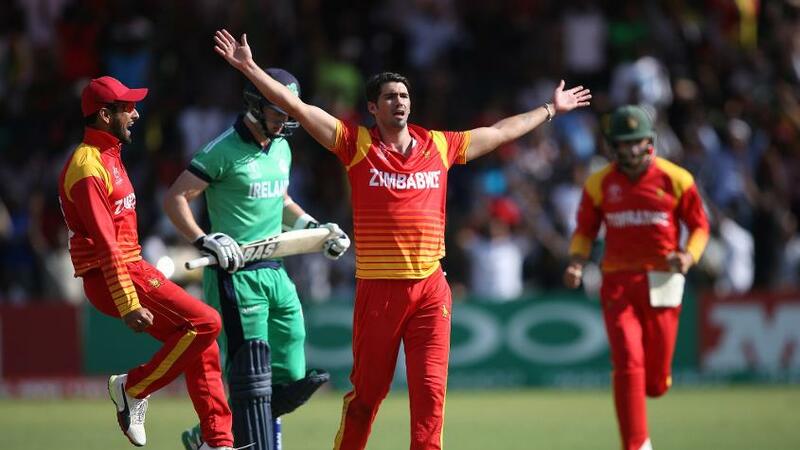 Zimbabwe and Ireland both are two teams in the competition and promoted to the knockout round. The match between Ireland and Zimbabwe was the 25th match in the tournament which was taken place in 16th March, 2018 at Harare Sports Club, Harare. Just earlier the match, Ireland won the toss and decided to bowl first. So, Zimbabwe came to open the innings. They played full 50 overs there but did not able to make very handsome score. However, Zimbabwe scored total 211 runs by losing nine wickets where Sikandar Raza scored 69 runs unbeaten. For Ireland Tim Murtagh took three wickets so far. 211 runs in ODI seems an easy option to chase but Ireland faced a batting disaster there in front of Zimbabwe bowlers and so in 34.2 overs they lost all wickets. In the meantime Ireland scored only 104 runs so far. Paul scored highest 41 runs for Ireland. Graeme Cremer took three wickets for Zimbabwe in the match. Finally Sikandar Raza was given player of the match award. Captain Porterfield and Paul opened the innings for Ireland but scoring seven runs captain was gone. Paul stood strong but at the end of the crease, no one could settle. Balbirnie scored 2 runs, Joyce scored 0 runs, O’Brien scored 8 runs so far. Just Wilson scored 15 runs for the team Ireland.